According to a study, companies spent over $118 billion on content marketing in 2014. Similarly Salesforce State of Marketing 2015 indicates content marketing being the single most reliable source of lead generation. However, there is another side of the story as well. 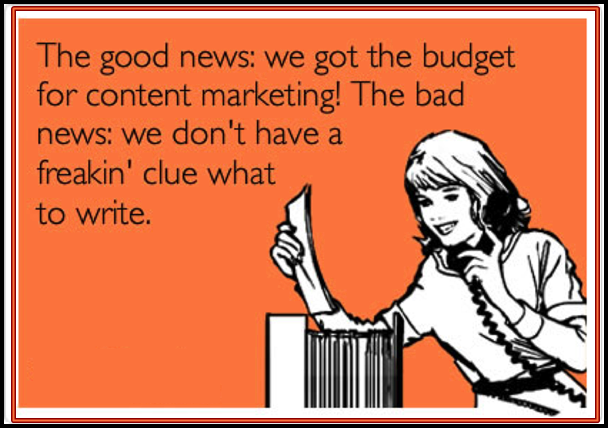 Content Marketing Institute has found out that only 4 out of 10 content marketers are satisfied with their campaigns. However, this does not mean that there would be less focus on content in 2015 as 86% marketers still believe it to be their primary lead generation tool. 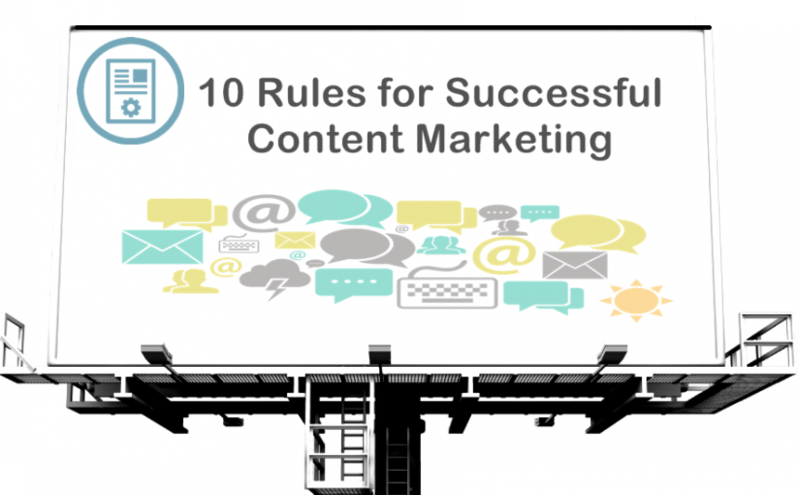 In the following, I am listing down 10 key rules that will help content marketers achieve their goals in a better way. The primary rule of success is to have a well-documented content strategy. A plan in mind is mere an idea but a documented idea can be called a plan of action or strategy. Secondly, review your content plan on the regular basis to have a better idea of what’s working best and what needs to be changed/replaced with something useful. Don’t make your contents another version of sales copy. Instead, write/prepare content to educate people about a product or solution. As they say, “successful marketer doesn’t sell; he educates people to buy a better solution”. People don’t read/watch/listen to sales/purchase invites as much as they are willing to listen/read/watch an informational piece. You can use Trello, Excel or similar tool to prepare a weekly plan of production, publishing and marketing. This is important because it helps in implementation of your plan. Weekly schedule is not only flexible but also helps in effective implementation of the content plan. There are many types of content and so are the channels. Picking up what works best in your industry/niche is the key to success. For example, for a Fashion brand, images and image sharing platforms work wonders. To see real examples, go through profiles of leading fashion brands on Pinterest, Instagram and Facebook. Managers who are able to integrate their content exercises achieve 46% more leads than those who don’t. Integrate your production with publishing, and your publishing with promotion. This promotion can be far more successful, if there the channels are integrated. Metrices are very important as they measure your campaign’s success. Depending upon your campaign’s nature, set up matrices like visits, traffic, clicks, leads, or registration (whatever suits the niche). Shakespeare said; “brevity is the soul of wit” and that essentially suits online marketing. If you keep things simple and short, they’ll be far more effective. Use simple language and also provide facilitation in conversion. Suppose you’re directing people on a landing page, make sure there is enough guidance on how to register/convert. Yes, mobile is the future of business and marketing. It matters in web design, landing pages, brochure templates, and in reaching out in the form of apps. Your industry and competitors are a great source of learning. Industry reports provides great insight into what’s working the best. Following competitors’ and industry’s best practices can be very much rewarding. This is very important if you’re a b2b marketer. In order to create valuable content, keep the following in mind. Content marketing has to be in light with changing search engine requirements and guidelines. Compliance with updated SEO guidelines will make your content visible and hence it’ll attract traffic. Liked the post, share with your friends and help them achieve their goals too. For updates and marketing tips, follow Makesbridge on Twitter and Facebook. Next Next post: How Will Google’s Mobile-Friendly Update Impact Your Business and SEO?